Solar PV is an abbreviation for Solar Photovoltaic which is the term used to describe the type of solar technology that generates electricity. The word photovoltaic comes from the Greek word for light, photos, combined with the name of the unit of electromotive force, the volt. The volt is named after the Italian pioneer of electricity and power, Alessandro Volta. Solar photovoltaics (Solar PV) is therefore is the name for technology relating to the conversion of light energy from the sun, into useful electrical energy. Solar PV is a distinctly different technology to Solar Thermal which uses thermal energy from the sun to raise the temperature of water via the use of solar thermal panels or collectors. The photovoltaic effect, that is the production of an electrical charge when a material is subject to light energy, was first discovered by a French physicist called Edmond Becquerel in 1839. He created the world very first photovoltaic cell while experimenting in his father’s laboratory when he was only 19 years old. Because Becquerel’s discovery the photovoltaic effect is sometimes referred to as the “Becquerel effect”. This work was followed by an English electrical engineer called Willoughby Smith with his own contribution coming in the 1870’s. This in turn was followed in the 1880’s by Chares Fritts, an American inventor who is recognised as developing the first working selenium cell. This first cell was only around 1% efficient and so was too expensive to use for energy generation. Also working at the same time and making significant contributions to the nascent technological field were German physicist Heinrich Hertz and Russian physicist Aleksandr Stoletov. In 1905 Einstein wrote a breakthrough paper explaining the photoelectric effect through his quantum theory of light. In 1921 he received a Nobel Prize in Physics for this paper. It was not until the 1940’s and the development of modern semiconductor cells by Russell Ohl working at AT&T’s Bell Labs in the USA, that solar pv cells really became suitable for practical energy generation purposes. For the following couple of decades, because of the high costs of manufacturung the solar cells and the low efficiencies of the cells there were still not many practical applications for solar photovoltaics and the industry was mostly academic and research based. One exception to this was the well funded space industry who were attaching solar arrays to sattelites to provide energy for their battery systems in space. It was not until the 1970s that the costs of manufacturing solar photovoltaic cells reduced to a point where it became more economically viable and could compete, in very specific situaltions, with fossil fuels. This was partly due to the swift rise in oil prices during the 1973 oil crisis. This also made people more aware of how dependent they had become on oil, the price of which they could not control and this influenced people to think more seriously about topics such as energy efficiency, energy security and energy self-sufficiency. In the 80's solar really began to take off as an off-grid technology. This is where you have solar panels running appliances in remote or mobile situations where other forms of power would be to expensive or impractical. 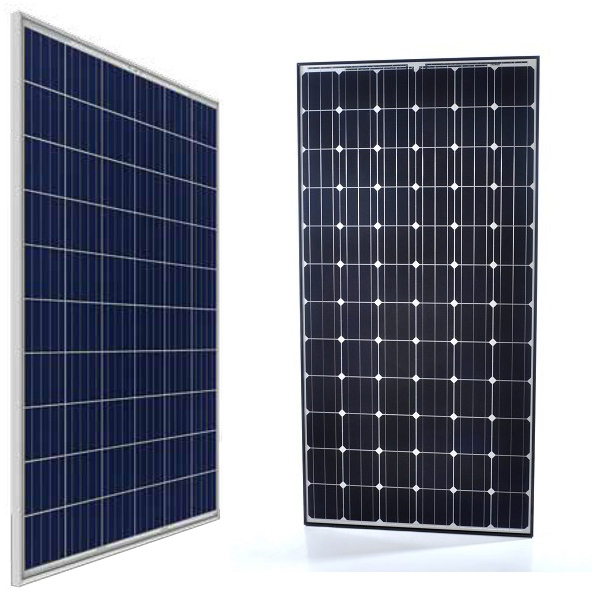 These off-grid, or stand-alone solar panel systems would almost always include a battery to be charged by the solar panels during the day so that electrical energy was availible at night. Probably the most common example of a stand-alone solar panel system at this time would have been solar power calculators. Other examples include power supplies for equiptment in remote areas of the world where running electrical grids or electricity generators were expensive or impractical. Some of the UK's very first renewable energy companies specialised in designing these types of off-grid system that would be exported world-wide, well before the UK grid-connect market started to appear in the late 1990's. Prices continued to drop and the technology improved the efficiency and reliability. In the 1990's some countries, notably Germany and Japan, develop government support projects in order to incentivise adoption of solar technology, especially grid-connect systems. These eventually evolve into a Feed-in tariff (FiT) model in Germany where solar generators are rewarded for generating and exporting solar electricity to the local grids. Over the past 10 years or so similar models to Germany's FiT model has been adopted by governemnts all over the world in order to help the uptake of solar. In the UK the feed-in tariff scheme was brought in in April 2010 and has helped to make solar photovoltaic systems a mainstream technology for homes and businesses wanting to reduce their energy bills or protect themselves from future energy price rises.